But truthfully I never really enjoyed wine (unless it’s my sister-in-law’s special red wine with sprite... I think it’s sprite...) Aaaaanyway, I find the taste of wine a bit too bitter for my liking. I would try but only end up taking 2-3 sips and that’s it. And it was only until a few days ago when I finally appreciated the pleasure of drinking wine. 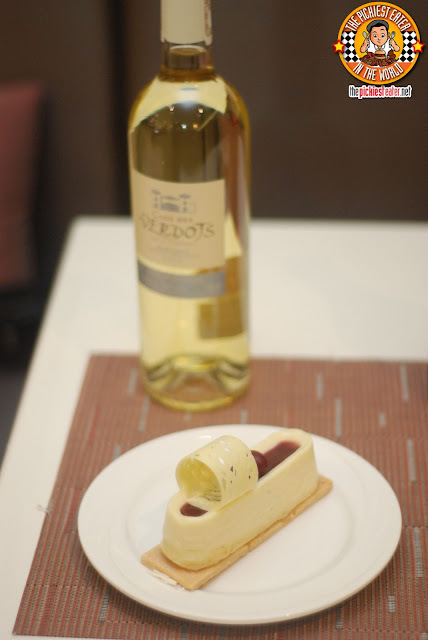 It was during the wine pairing at The Cake Club that I started to understand that wine is best enjoyed when paired with the right stuff. Or in this case, when paired with the right dessert! 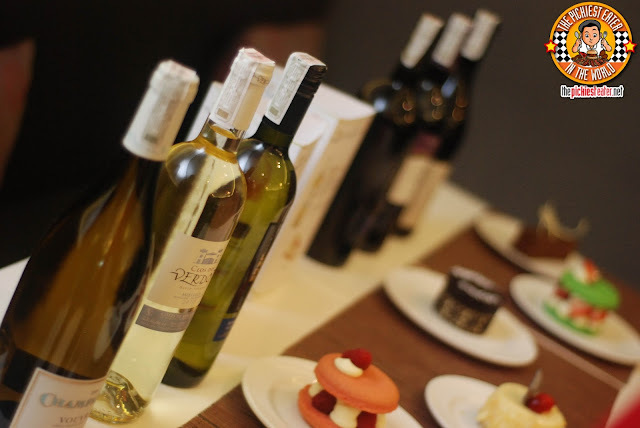 It was explained to us that the wines sort of play a role in the mouth to complement what you’re eating. 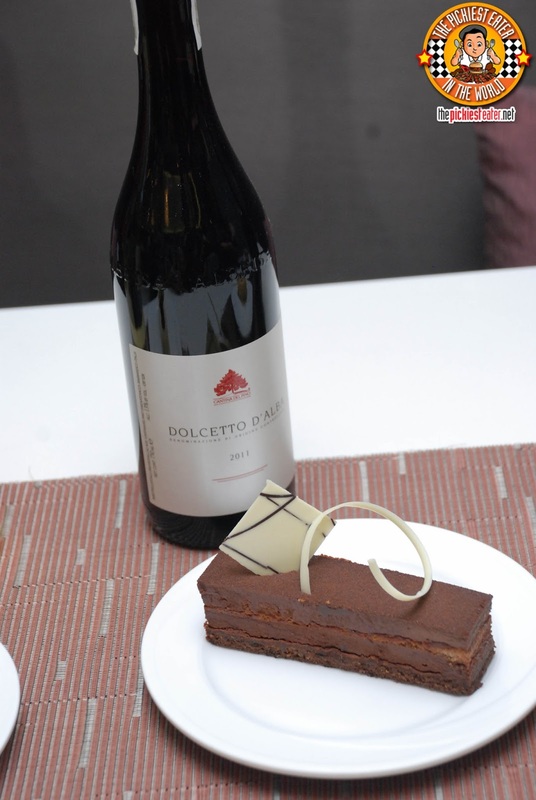 Either to cut through the strong taste or some just really blends well with the food. First I would like to explain that we really don’t know squat about wines. I’m just telling my experience and opinion as I go. So to wine experts, I have copied the exact description of the wines provided by Diamond Hotel just for you so it’ll make more sense. 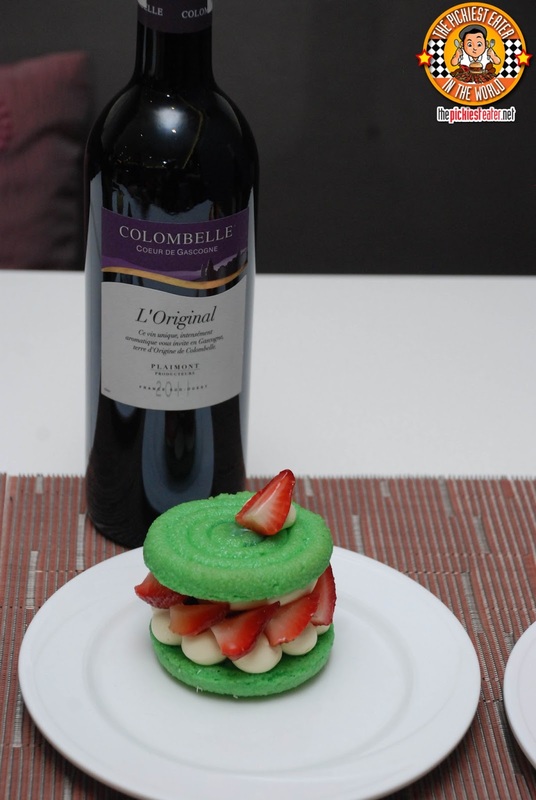 Colombelle Red (merlot, tannat, cabernet sauvignon) – “generous aromas of black currant, plum, and hints of licorice. Round and silky in the mouth with a fresh fruity finish. 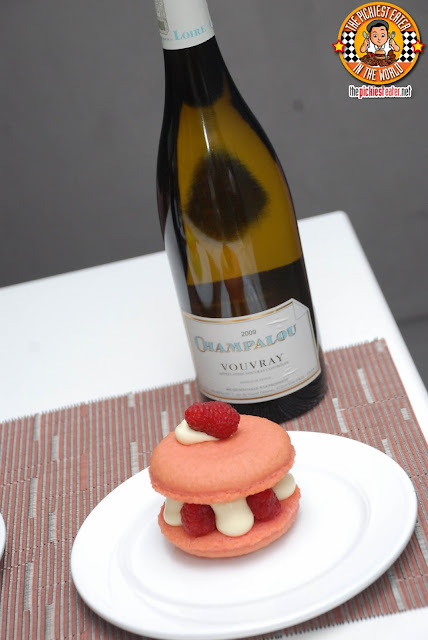 Good to pair with any cakes! My take: It had just the right acidity. Not that bitter. Quite good! My take: it was too bitter for me. 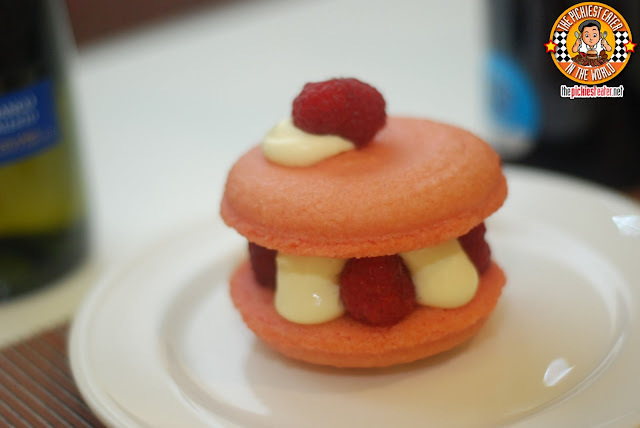 But as soon as I drank it with a bite of the Ispahan (Photographed above. A fruity cake which was very sweet), the bitterness and the sweetness battled in my mouth. And it was good! My take: It really was good with the Cheesecake that they paired it with. Because it cleanses the palete so you can enjoy the taste of your meal more. 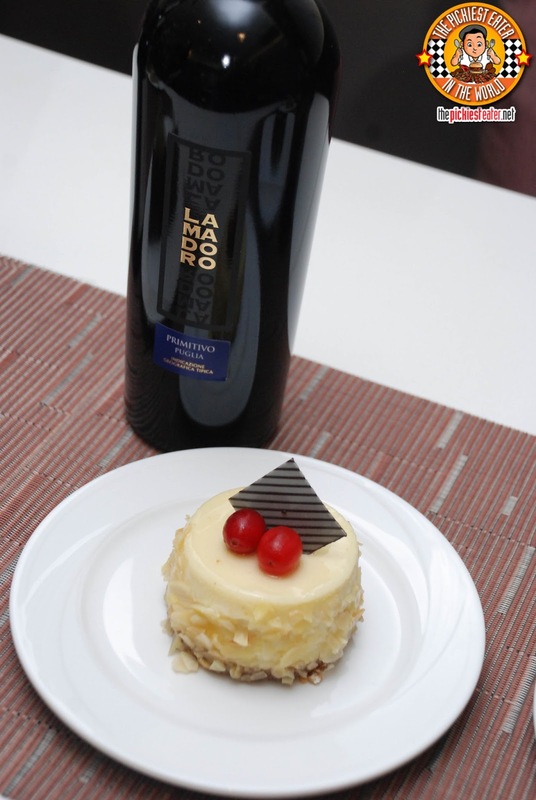 Lamadoro Bianco (verdicchio, sauvignon blanc) – “Very easy to drink and refreshing. 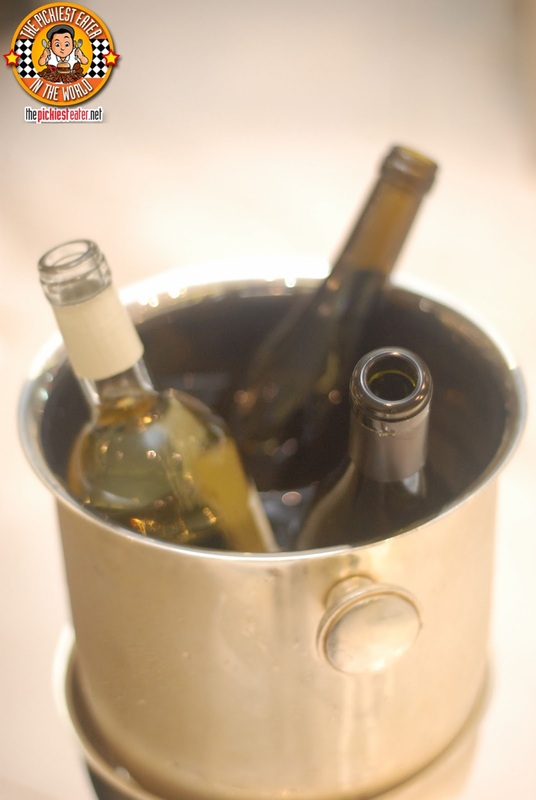 Also refreshes the palate. 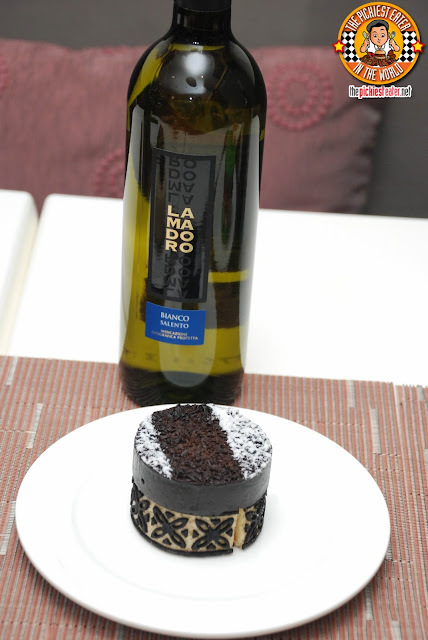 Good to pair with Supermoist Chocolate Cake. My take: I found this one strong. I guess that’s why they again paired it with the sweet cakes with fresh fruits. My take: It’s the sweetest out of everything that it’s almost more like a grape juice. That’s why I loved it so much! This is my favorite out of all of the wines that night. This was our second time to dine at The Cake Club and again it was a pleasure. So far everything we’ve tried here is delicious. Both savory and sweet. Will be blogging more about the food soon. Oh and don’t forget to try their truffle fries! It’s to die for! Thanks Cake Club for making me appreciate wine. You’re the first to do so! I'm not much of a drinker either, Lei! In fact, I don't drink at all.. but I eat ALOT hehe..
Oh wow! The desserts truly looked stunning :) I like the cheesecake! The cheesecake was one of my faves!